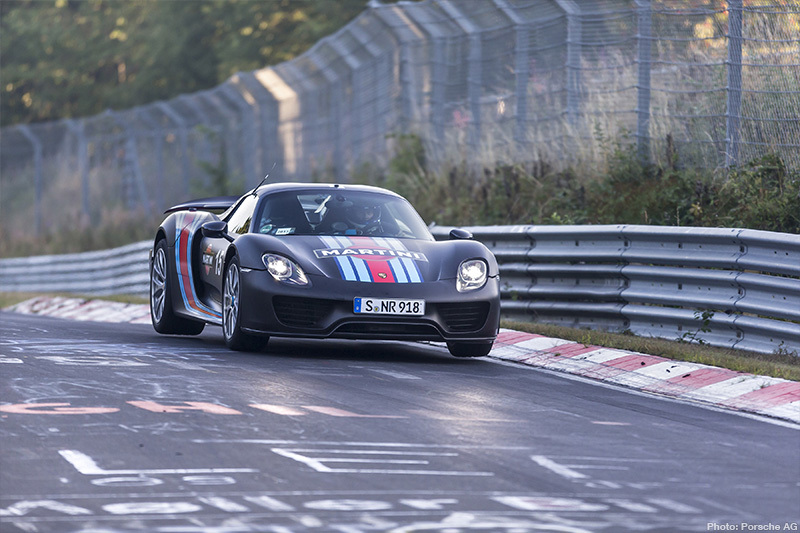 The Nordschleife has become the place for auto manufacturers to prove their metal. There’s been a veritable invasion of foreign companies setting up base on the track’s doorstep, from Nissan to Aston Martin, all looking to show how credible their sports cars are. 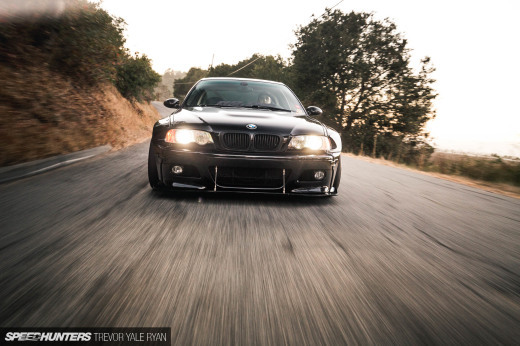 So what of the domestic Germans, whose track this is? 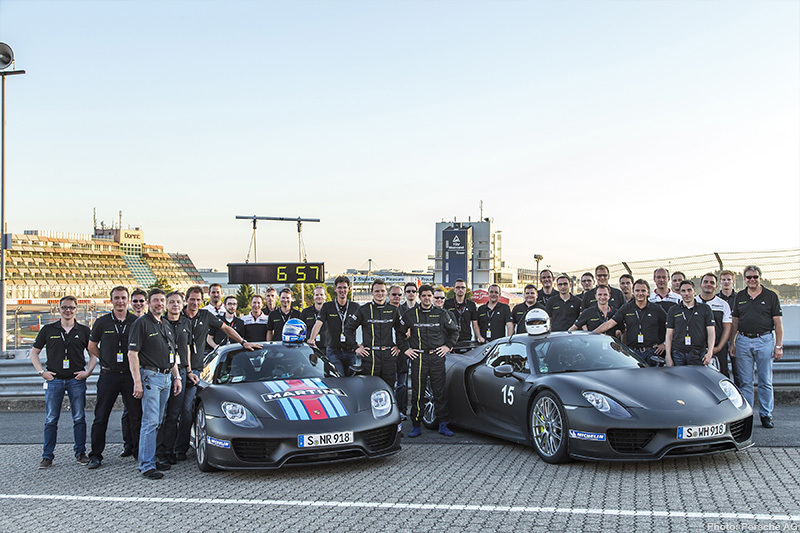 It seems like the Porsche elite have decided to remind the newcomers who’s the boss, and the car they chose to hammer them with was of course the 918 Spyder. 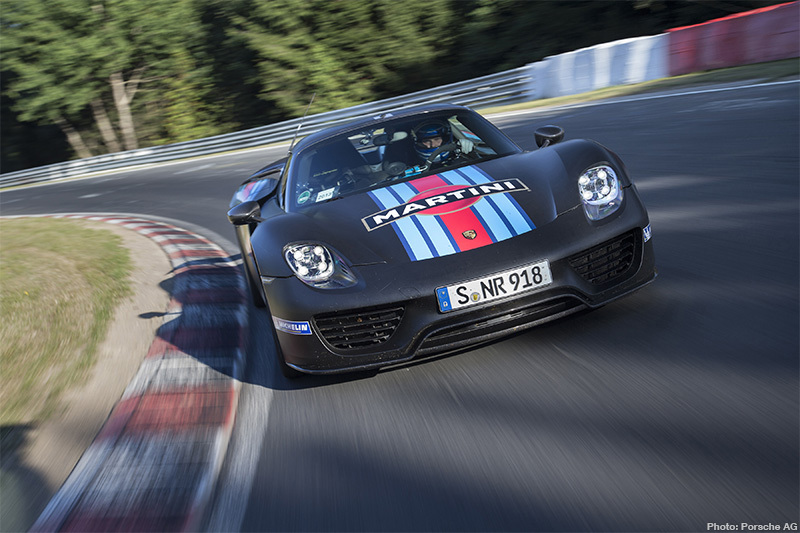 Like several other recent development cars, the 918 hasn’t stood still since its reveal in Geneva back in 2010, and has seen several refinements and variants released over the last couple of years – all this before the car’s official release, remember. 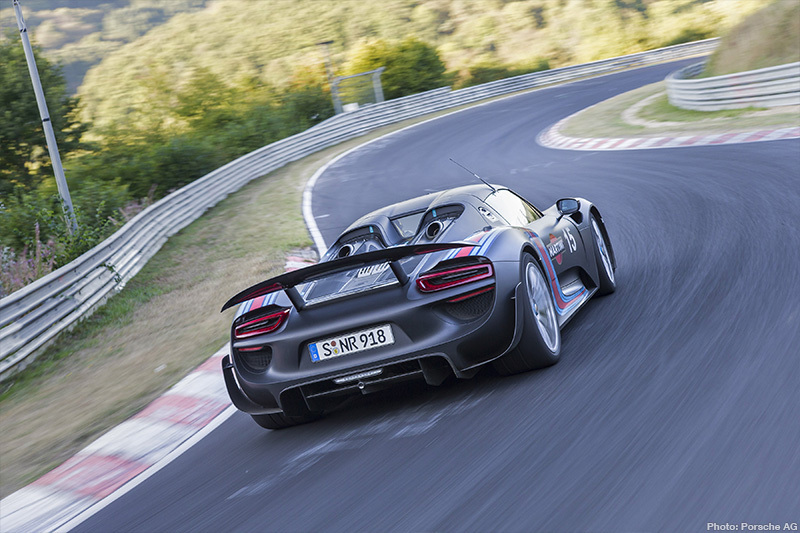 Static appearances by the Porsche 918 have always set the internet alight, but more recently the Spyder has been setting tracks alight, with proper on-road testing sessions made public. The potential of a plug-in hybrid supercar combined with Porsche’s heritage meant that it was always a thrilling prospect, and disappointment was never an option. Production is due to start later this month, and as if there wasn’t already enough buzz around the long-awaited 918, Porsche decided to ramp things up by giving the Spyder a further little upgrade. 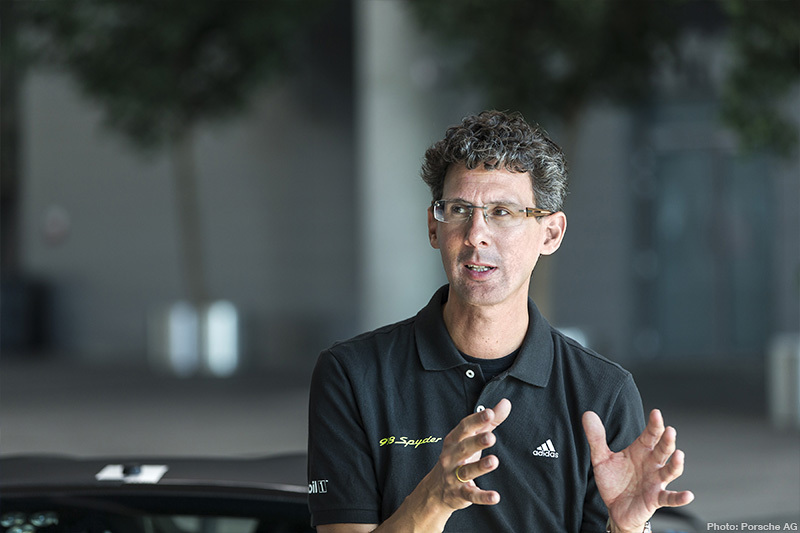 At the Frankfurt Motor Show they revealed the ‘Weissach’ option package. Add even more carbon and even more power (up to 887hp) then take away weight, and the competition are in serious trouble… The Weissach 918 Spyder also runs lightweight magnesium wheels which drop the car’s overall weight by 35kg with bespoke Michelin Pilot Sport Cup 2 tyres and a choice of vintage-inspired paint schemes. 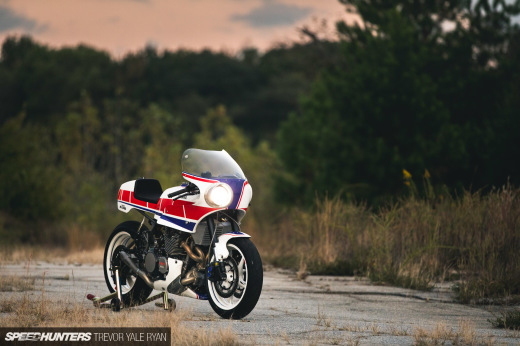 Martini stripes are always good for a couple of tenths on their own. 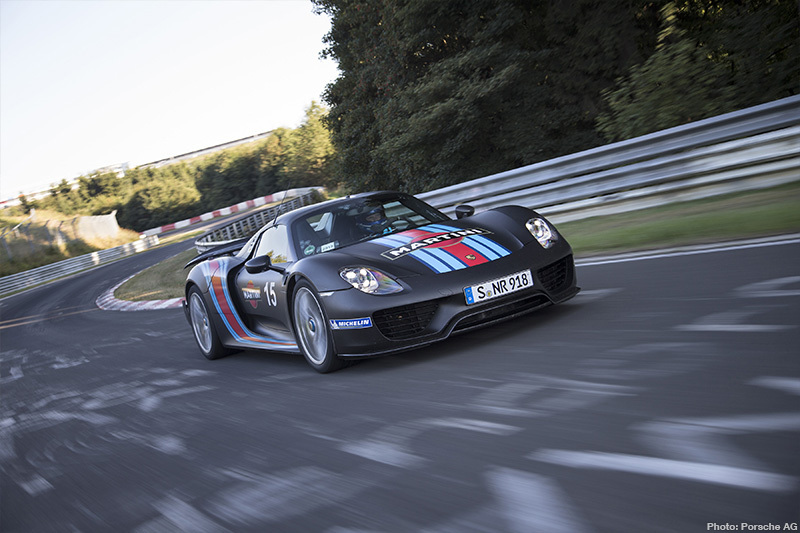 So where would Doctor Frank Walliser, the 918 project manager, possibly choose to show it off? Where better than the Nordschleife. Porsche had already taken a race victory at the Nürburgring 24 Hours in 2011 using Williams-derived hybrid technology fitted to a 997 GT3 RSR, but the Spyder is a fully road-homologated street car. Just a very powerful street car. 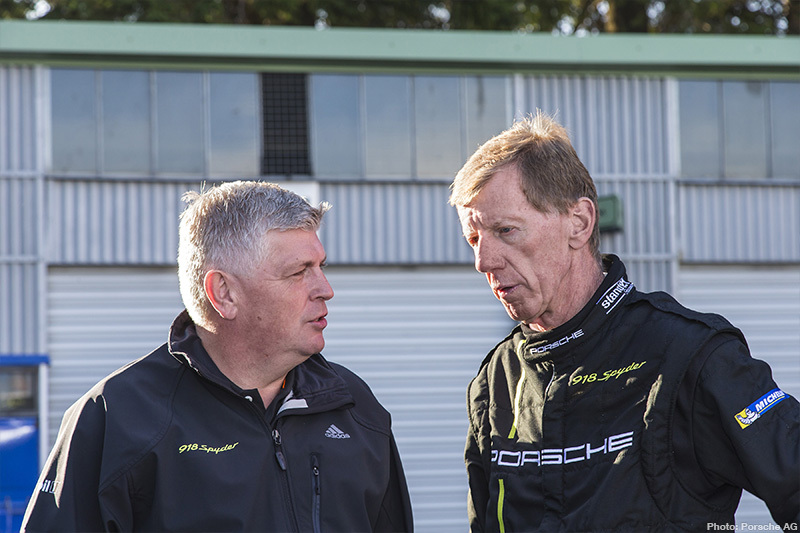 The team they assembled for the attempt was suitably impressive: factory driver Marc Lieb was joined by Porsche tester Timo Kluck and double World Rally Champion Walter Röhrl. All three beat the existing record set by the Gumpert Apollo Sport back in 2009, but ultimately it was Lieb who posted the fastest lap. Runs by a pair of Spyders were monitored by independent observers, and Lieb’s lap of six minutes 57 seconds was 14 seconds quicker than the previous record – at an average of 179.5kph.